Swipe left for NO. Swipe right for YES. If the feeling is mutual, connect and reveal your identity. No, it’s not online dating. It’s the future of job search: anonymous, simple and mobile. Finding a job is hard work. The journey can be incredibly frustrating and time consuming. From discovering opportunities through the application process to finally interviewing, it is a long and winding road. One company wants to change all that. 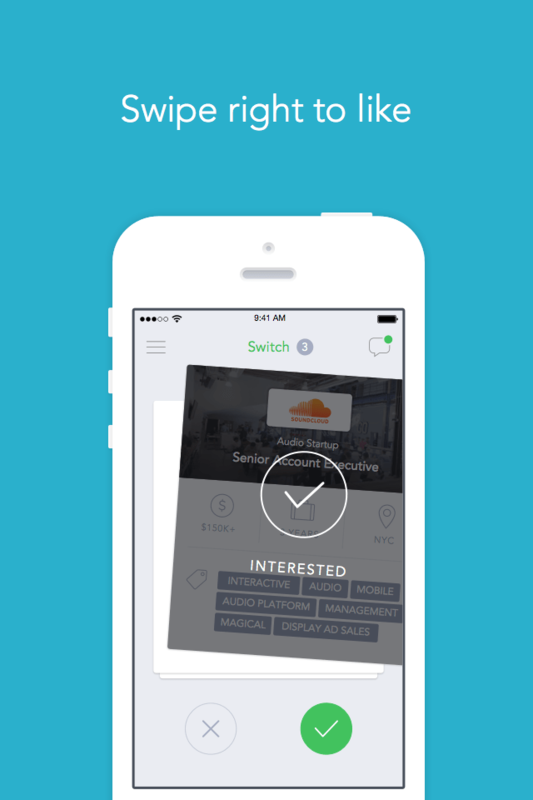 The recently launched Switch app is truly a Tinder for jobs. They aim to take the pain out of the search and connect the right people to the right jobs. I spoke to Co-Founder Brett Martin and wrote about Switch. You can read the rest here at AOL Jobs.